The question about David Allan Coe has never been if he’s a badass, but if he’s a little too badass. Some of his stories are hard to believe. Others are even harder to validate. And others are hard to herald because of the malevolent nature of the occurrences or outcomes. David Allan Coe is a living dichotomy. He’s a scary, weird, train wreck of a man; one of these people we all knew growing up in school or in the neighborhood that was always in someone’s face and that could twist off at any moment. At the same time, and for some of the same reasons, David Allan Coe is an American treasure, and a country music legend. And country music, and the rest of the world, would be a lot less of a colorful place without him. Because whether you like him, respect him, or hate him, there will never be another person or performer in country music or the American culture like David Allan Coe. In a genre of music where what you’ve done and how you lived goes a long way into putting legitimacy behind the songs you sing, David Allan Coe’s story is arguably filled with more street cred than any other major performer in the history of the genre. Institutionalized from 9-years-old in reform schools, David Allan Coe committed crimes such as robbery and grand theft auto in early adulthood, and ended up in and out of jail and prison for two decades. Though Coe claims a lot of miraculous meetings with former and future famous individuals and other rowdy incidents while in the pen, including killing a man in self-defense and spending time on death row (see at bottom), one claim that is widely accepted is that while incarcerated in Ohio, Coe met fellow Ohio native Screamin’ Jay Hawkins who encouraged Coe to pursue songwriting. David’s rough and tumble early life would go on to lay the foundation for future songs that would help shape the sound of country music. When he finally got out of prison in 1967, he stayed out, and put together one of the most legendary, curious, and colorful country music careers the genre has ever seen. After getting out of prison in 1967, David Allan Coe moved to Nashville to pursue his country music career. He was homeless at the time, and lived in the back of a red Cadillac hearse that he parked regularly in front of the Ryman Auditorium—aka the “Mother Church of Country Music” where the Grand Ole Opry was conducted at the time. 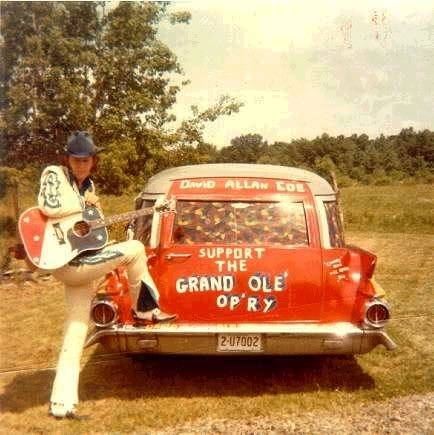 Crudely decaled to advertise the Opry, as the crowds came and went, there was David Allan Coe busking in front of the famed venue. It was his way of getting the attention of the industry. What was the result? It worked. Plantation Records recognized Coe and signed him to the label. Coe’s first two albums—Penitentiary Blues and Requiem for a Harlequin—were through Plantation, and that was the big break he needed. Later he singed with the major label Columbia Records. That’s right. The man that would probably would be fingered as country music’s biggest misogynist had country music’s first female backing band called the Ladysmiths. Though they only lasted a short time too early in Coe’s career for many people to notice, he still deserves the distinction. Of course, you have to balance out this info with the fact that Coe once also claimed to have as many as seven wives, and once claimed allegiance to the Mormon Church to justify his polygamy. As you can imagine, the Mormons were not happy. If you’re anything like me, when you first heard this song, and when you realized Coe was singling about Hank Williams, it was one of those singular musical moments that made your spine tingle and the hair on your arms stand on end. 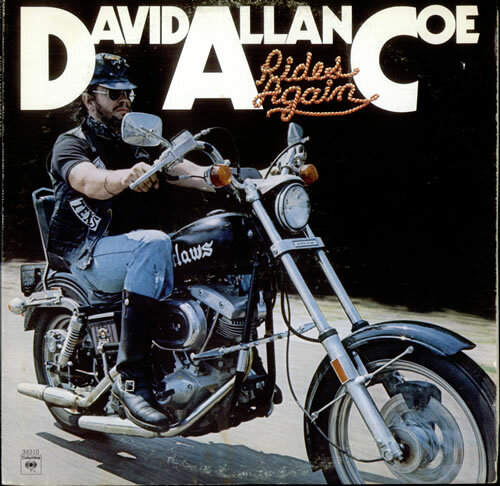 Written by Gary Gentry and J.B. Detterline Jr. and released in February of 1983, “The Ride” simply wasn’t just another great David Allan Coe song, it was the one that revitalized his struggling career at the time, and put him back on the mainstream map. Columbia Records had fitted Coe with legendary Countrypolitan producer Billy Sherrill. The Coe / Sherril collaboration was a success, and along with another hit of the era “Mona Lisa Lost Her Smile,” “The Ride” drove David Allan Coe to the top of the country charts. The song made it to #4 on the Billboard Country chart, and spent 19 weeks in the chart. One of the biggest songs of David Allan Coe’s career, and Johnny Paycheck’s. The #1 hit (the only one of Paycheck’s career) released in October of 1977 created its own colloquial expression and snowclone that is still in practice today. It inspired a 1981 film of the same name and too many popular culture references to count. Coe released his own version of the song on his 1978 record Family Album and an alternative version called “Take This Job And Shove It Too” that included the line, “Paycheck you may be a thing of the past”—a veiled stab at Johnny who Coe felt betrayed him by alluding to the public that he wrote the song. Coe nonetheless had hard times coming. In 1990 his contract with Columbia Records came to and end, and after a bitter divorce and troubles with the IRS, Coe’s Key West home was seized and he was thrown out on the street. With no place to go, David Alan Coe lived in a cave for several months in Tennessee, or at least that is how the story goes. Some have questioned the validity of Coe’s cave-living claims. Whenever you say the name “David Allan Coe,” people immediately think of his hellrasing Outlaw songs, confederate flags and the use of the ‘N’ word, his X-rated albums, prison time, and many other seedy events that have sensationalized his life and country career. But what might be the most underrated part of David Allan Coe’s contributions is his ability to write and record some of the best, most touching love songs the country genre has ever heard. The breadth of David Allan Coe’s songwriting ability, and his ability to perform a heartfelt tune when called upon it is something that even the most hardened David Allan Coe detractors could find beauty in. Coe’s first big success in country music came as the songwriter for Tanya Tucker’s #1 hit in March of 1974, “Would You Lay Me Down (In A Field Of Stone).” Coe’s own version of the song is also highly regarded by singers and songwriters. His recording of “Mona Lisa Lost Her Smile” written by Johnny Cunningham was Coe’s highest-charting single in his career, hitting #2 on the Billboard Country charts, and Coe’s “Jody Like A Melody” rarely leaves a dry eye in the house. David Allan Coe’s long relationship with producer Billy Sherrill, who was known as one of the founders of the refined Countrypolitan sound, resulted in some beautiful recordings that may not balance out all the bad he’s done in his life, but certainly speak to the wide expanse of Coe’s talent and contributions. In June of 2008, David Allan Coe was at the Prairie Meadows Racetrack and Casino in Altoona, Iowa with his girlfriend (now wife) during a stopover between shows. The altercation happened after Coe hit the jackpot on a slot machine. His wife stayed with the machine to collect the jackpot, and Coe moved on to another slot to continue playing. When the casino workers came to deliver the jackpot, they told David’s girlfriend that he had to be present because he was the one who pushed the button. When the casino workers found Coe at the other slot machine is when the trouble started. As Coe was trying to give the casino proper ID, a young security guard became combative with Coe. To avoid an altercation Coe began to walk away, but security cornered him, wrestled him to the ground, detained him, and charged him with Disorderly Conduct and other charges. Bad thing for the security is the entire thing was caught on tape, and completely corroborated David Allan Coe’s side of the story. It clearly shows security unnecessarily wrestling Coe to the ground, and all charges were dropped. Coe blames the incident for why he has to walk with a cane, and still down while performing. He counter sued the casino. The video of the incident is pretty astounding. Yes, there’s many partnerships and collaborations in music where two famous artists or bands get together and do something that is usually really exciting on paper, but the results musically are fairly negligible beyond the novelty of the collaboration. Rebel Meets Rebel took it a step further, and has withstood the test of time for many fans of both David Allan Coe and metal band Pantera. Recorded between 1999 and 2003, and not released until May 2nd, 2006—two years after Pantera guitarist Dimebag Darrell was brutally murdered on stage. This wasn’t David Allan Coe playing metal, or Pantera playing country. This was a true collaboration that mixed influences from both disciplines. Hard-edged and unapologetic, it is mostly a meal for the red meat crowd, but stands above most other country/metal collaborations as one that got it right. If you need any further evidence of just how badass David Allan Coe is, just appreciate that in March of 2013, David Allan Coe was broadsided by a Peterbilt 18-wheeler in Ocala, Florida and live to tell the tale. The impact sent Coe’s 2011 black Suburban all the way into a nearby parking lot, which the semi ended up on its side and wrapped around a cement pole. Coe suffered cracked ribs and bruised kidneys, and spent a couple of weeks in the hospital, but was back performing months later. 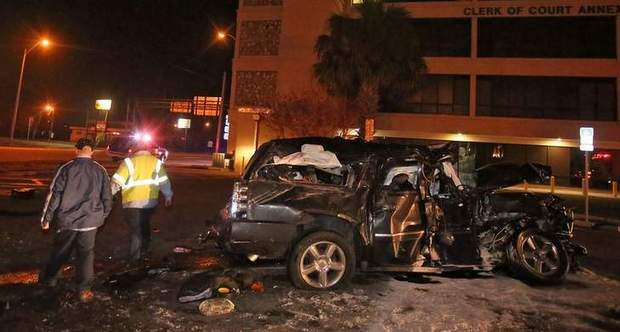 Just looking at the pictures from the accident, it’s a wonder Coe made it out alive. A badass indeed. Read More About Coe’s Accident. Taught Charles Manson How To Play Guitar – Though David Allan Coe claims he taught Charles Manson how to play while they were both in prison together, there’s no evidence to support that the two were in prison together ever, let alone that Coe would have the kind of access to Manson to teach him. Another man Alvin “Creepy” Karpis is given credit by most sources for teaching Manson guitar while in prison. It’s a motorcycle club not a gang! Absolutely an amazing writer in his best times. When I bought “Once Upon a Rhyme” I believed then and still do that it is as good as any country album ever recorded. He might have gone off the deep end but you cannot deny the genius of some of his work back in the day. Thanks for reminding everyone of that. Finally Trigger! I love you man!!!!! Thanks for finally writing this. Ive been waiting forever! I’ve read it, I read it way back when it was first posted. While he has made positive contributions to music and is in fact unique, I still don’t agree with portraying him in any sort of positive light. You said it in the linked editorial, he’s a piece of garbage of a human being. “The Ride” is one of my all time favorite songs, country music aside. He’s shown a true great artistry at times, which makes him even more sad and pathetic in my view; if he expected more of himself as a person, he could’ve been so much more in both his personal life and music. I wasn’t trying to say you were crowing him. I just truly believe that no matter how great someone’s contributions are to music (or sports, or film, or politics, or business, etc), when they are unarguably and admittedly bad people, they shouldn’t have a place at the table. They don’t deserve it. I also understand everyone has their faults, and see that one could quickly rule out just about any person based on past indiscretions, but his are of a particular variety. Good for him, he’s an incredibly talented song writer and musician, but he comes up incredibly short on the things that really matter. Without DAC, perhaps country music is a little less colorful and has 10 less all-time badass moments, but it would be worth it. Country music has plenty of options when it comes to genius artists and musicians to praise that are good people and do have some sense of character, without having to give this guy any attention. All that I can tell you is I completely recognize David Allan Coe’s failings. And if anybody decides they never want to listen to Coe’s music or give him any credit because of the type of person he is, I totally understand. At the same time I recognize Coe’s contributions to country music, and feel he deserves credit for them, and think it would be unfair to erase everything he’s done because of failings in his personal life. This is what you call a dichotomy, where if you give him credit, or you don’t, you feel like you’re doing something wrong, or right. I have now written 11 of these “Badass” articles because people really seem to enjoy them, even though I don’t particularly like publishing lists. On the surface, Coe would be the ideal candidate to publish a list like this for, but I avoided it until now because of the very concerns you raised. The only reason I decided to publish it now is because it was his 75th birthday, so I thought this occasion would be the best time, or maybe the only time, to look at the man in a more positive light—to celebrate instead of denigrate. However I knew there would still be people who had a problem with it, and I totally respect anyone who takes that position. DAC most certainly is an American treasure. The man is a remorseless multiple felon, he’s a serial liar (he claims to have written most songs since Amazing Grace), he treats his family, his band and his fans like dirt, and he’s a self-centered compulsive gambler. But we should disregard him, not for these reasons, but because he uses a racial epithet and is sexist. If DAC didn’t have bad character, he would have none at all. I don’t look to musicians for anything but entertainment. DAC’s songs have been music to my ears for 40 years, and he is my favorite artist of any genre. But he is quite obviously, based only on what we know if him (which is likely the tip of the iceberg), not someone I would use as a moral compass. I know. Look at all the things there are to not want to listen to him, if one bases their music preference on their politics, and look at what people are jumping on, out of all the choices. It reminds me of Ft Hood, and the general who more or less said never mind that we didn’t vet this guy after multiple red flags, diversity is the highest good, even if it did get soldiers killed on a military base. You seem to have badass and jackass confused. Being in Reform schools and prison doesnt make you a badass, it makes you a jackass. Running a red light and causing a serious auto accident doesnt make you cool, it makes you a douchebag. 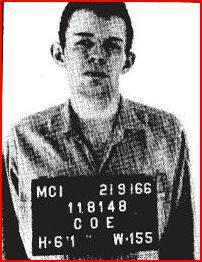 I didn’t call Coe a badass for being in prison, I called him a badass for actually living it before he sung about it. Also it is probably worth pointing out that Coe was incarcerated at 9-years-old for what he says is simply not being wanted by his step-mother. He also claims to have done 8 1/2 years for having a pornographic picture in his wallet—something you could pull up on the Intenet these days in a second. Not saying he never did anything wrong, but he was institutionalized at an early age, and sometimes this doesn’t solve bad behavior, it solidifies it. As for the crash, I did say he was a badass for causing it, but surviving it. David Allan Coe is not someone you’d probably want your sister to date. He’s a seedy guy with a seedy past that has made tons of mistakes. But he has lived a remarkable American life, and that is what is being celebrated here. Trigger, you’ll never get some people to understand the distinctions. The personal is truly political in this PC world now. Didn’t the Russian reds first say that in the Russian Revolution? I love and respect DAC’s writing and musical contributions to country music. He is one of the greats, no question. However, some of the things he has done to promoters and his ticket buying public at times is not ok. His personal life is just that his personal life. Therefore, I will not judge. DAC is no different than the other Outlaws of country music – with 1 exception – he is who he is. No frills,, no B.S. and no apologies. Great songwriter and great entertainer. When I put together a top 10 list of the greatest, he is always there. I personally met DAC after one of Willie Nelsons picnics in Macon, Georgia. His bus was broke down and my gf’s and I stopped hoping to meet him. It was his band members and some of his biker friends. What happened then was my alternator belt broke on my car and we ended up having to leave my car on the interstate in TN and ride in the bus back to his place in Dickson, tn. He wasn’t with his clan. The next morning DAC came onto a bus I was sleeping on and woke me asking who I was. We rode out on his property into a cave where he showed me where he wrote would you lay with me on the wall. He told me alot of his stories. His friendship with Johnny Cash. The truth about his redneck songs. His daughter he barely knew at the time. He had a zebra painted golf cart we rode on. There was a huge two story house on his property that had a rebel flag hanging on it and it said Haunted house on it…when you went in it was a pure maze with mirrors throughout the house. He asked me about my car. I told him where it was. He was on his way to play at the Grand Ole opry and said he’d fix it for me and bring it to me…he did. He was very respectful to me. Talked alot. Made me laugh and feel very comfortable. After he brought me my car, I traveled back to AR. One thing he told me was he couldn’t believe girls from AR slept in their clothes (as I did, BUT, I was cautious) and he called my gf Sunshine. She was later murdered. After ‘call-waiting’ went into effectI was talking to my best friends mother and I had my very first call-waiting come in…it was DAC…have NO idea how he got my no but apparently he had met my gfs murder at a prison concert…he was calling to give me his condolences. Over the years I have ran into DAC in various places…once in Morrilton, AR…where his bus was again broke down. But, he remembered me…always. He might’ve been a badass, a jerk…had a rough life but who wouldn’t after being incarcerated at 9…that wasn’t a solution…it defined his life…marked it. Perhaps his decisions didn’t help his life or change things…but from MY encounters with this song-writing legend he was just that…a very fine writer and performer. And THAT I’ll never forget about him and the fact that he ALWAYS remembered me as his fan, always recognized me at his concerts…and was a very respectful man to 3 lost girls from AR….and that he loved his daughter. I loved his music…his words…he was a genius.